Independence Day in our country is approaching fast. The nation is ready to celebrate the moment with great zeal and enthusiasm. We celebrate August 15 as our independence day as on the day in 1947, India got its freedom from the colonial power. Many political leaders and revolutionary groups had been battling for centuries together to liberate our country. I am talking about a legendary figure of our region who laid down his life for the sake of the motherland. There was opposition and protest against the British in Bastar like many parts of our country. The protest here was led by a tribal leader called Gunda Dhur. Let’s have a little talk about Gunda Dhur. 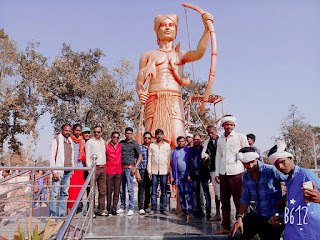 It’s really unfortunate to learn that the historians don’t have many records about the tribal leader but traditional folklores and stories talked much about his contribution. During 1910, Gunda Dhur was a tribal leader of village Netanar, of Bastar district, in Chattisgarh. He played a major role in the rebellion of the Dhurwas of Kanger forest in Bastar on 2 February 1910. He was joined by his companion called Murat Singh Bakshi, Balaprasad Nazir and Kalandri. More than 50 tribal people fought against the colonial power in Bastar and made every possible effort to drive the power away from Bastar. The British colonial government proposed to reserve two-thirds of the Kanger Forest as a reserved forest in 1910. This new proposal was opposed by a number of tribal in the area as they could be affected due to the proposal. Gunda Dhur played a major role in organizing tribes in Bastar district against the British. Red chilli, Soil, Bows & arrows, mango-twigs became the symbol of spreading the message among the tribal-like Chapatis and lotus for the revolution in 1857. As per the decision they had taken each family contributed to the rebellion. The rebels led by Gunda Dhur robbed, looted and burnt British granaries and redistributed grains to the poor. Apart from that, they fought against injustice being done to the tribal by local zamindar, leaders as well. The British’s stand on Gunda Dhur. British power was in great trouble as long as Gunda Dhur along with the tribal troop was opposing. As per the historical records, the British Troops had to take shelter in local caves here. Later, tribal power began to diminish. The Adivasi leader Gunda Dhur tried to negotiate but the British fired their camps and villages. Although the British succeeded, they never managed to capture Gunda Dhur. But the partial victory of Gunda Dhur was that the British reduced the reservation of forests to roughly half of what was proposed before. The British had to change their plan to reserve the forest made it almost half of what is proposed. Even today, tribal people of the Kanger Forest region praise the heroic acts of Gunda Dhur in various folk songs, stories. Many educational institutes are named after Guda Dhur. 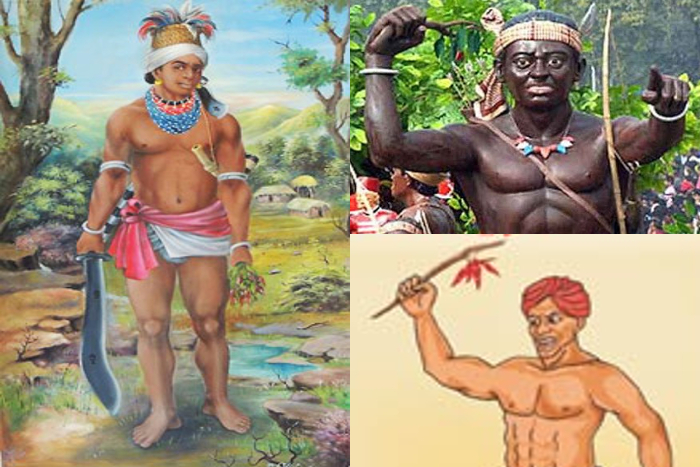 Another tribal leader who fought against the British was Birsa Munda. He was born on 15 November 1875 in Ranchi in Bihar. Birsa and his family led a nomadic life. And settled down in Kurumdha and began to work in fields, then his family moved to Bamba so Birsa had to join his family. Birsa like to play in the sand on the bank of rivers and excelled in playing the flute while working as a shepherd. He studied in a school in village Ayubhatu for two years when he was living with his maternal uncle. Hearing this British sent a troop to oppress the protest led by Birsa. There was a fierce battle between the tribal-led by Birsa and the British troop. 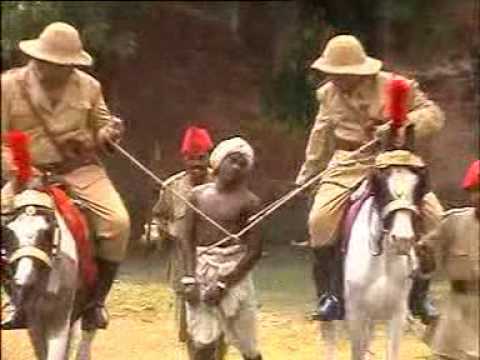 The British arrested Birsa while he was sleeping with his rebellion troop in a forest on 3 February 1900 and sent Birsa to Ranchi. Later, he mysteriously died on 9 June 1900 of Cholera. However, reports said he had no symptoms of Cholera at the point of his death. 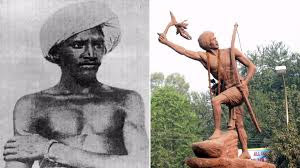 Birsa Munda was 25 years old when he died. Tribal in Bihar, Jharkhand and Orissa, still remember his contribution. Many educational institutes are named after Birsa Munda in the regions. The government expressed his gratitude releasing a postal stamp too. All the photographs taken in the blog are from Google.